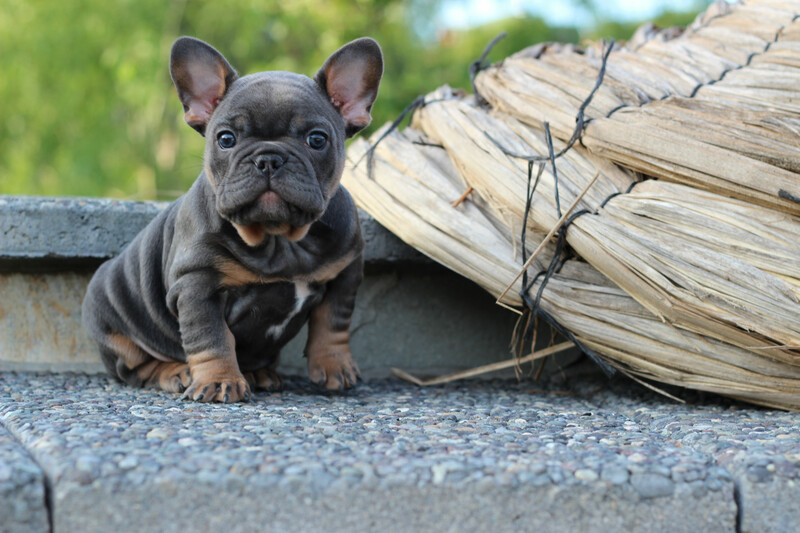 The french bulldog originated in England and are bred expecting small size bulldogs. Many lace workers in Nottingham had little bulldogs and when they emigrated to france, they brought their dogs with them. Soon they become popular in France and Europe. Then Americans showed interest in them.In 1896 frenchie was shown in United states in a show and after that they got their nickname "Frechie". 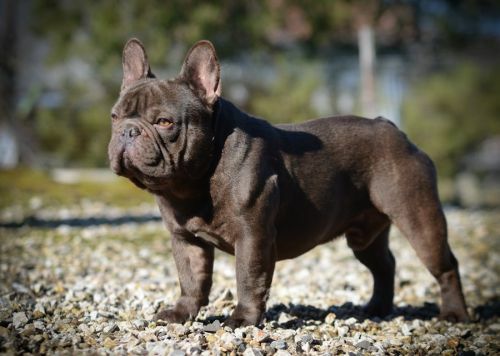 Frenchie is a good companion dog and has a powerful muscular body. They like to play but also likes to relax for more time. They are intelligent and training them is very easy until they think it a game. They are free thinkers and are not very good in obedience. Frenchies should not be leaved alone for a long time.They love spending time with humans and generally they get along with everyone. They are excellent watchdogs and alerts when strangers come. They suits very well in apartments. But they shuold be made to walk for fifteen minutes daily to avoid over weight. They should not be kept outside on hot days. Frenchies will be very happy if you stay in home. They will follow you wherever you walk inside the house. They love people so much, such that people who own a Frenchie can not imagine life without them. Frenchies can suffer from Von Willebrand's disease(VWD)and thyroid condition. Due to their flat faces they suffer from elongated soft palate or cleft palate. Because of their compacted air way they have inability to effectively regulate temperature. Any indication that the hair is unhealthy, such as brittleness and hair loss, should be addressed immediately to avoid any further damage. Hair loss becomes a problem when it becomes excessive, possibly due to disease or a particular condition. As with all dogs, proper nutrition makes your French Bulldog a happy, healthy pup. He should have his own food and water bowls. Don't feed your puppy uncooked meat or food that may have gone bad. Young puppies need relatively large amount of food in order to meat the demands of their rapidly growing bodies and their hectic lifestyle. Feed your puppy specially designed chewing treats from reputable pet stores. 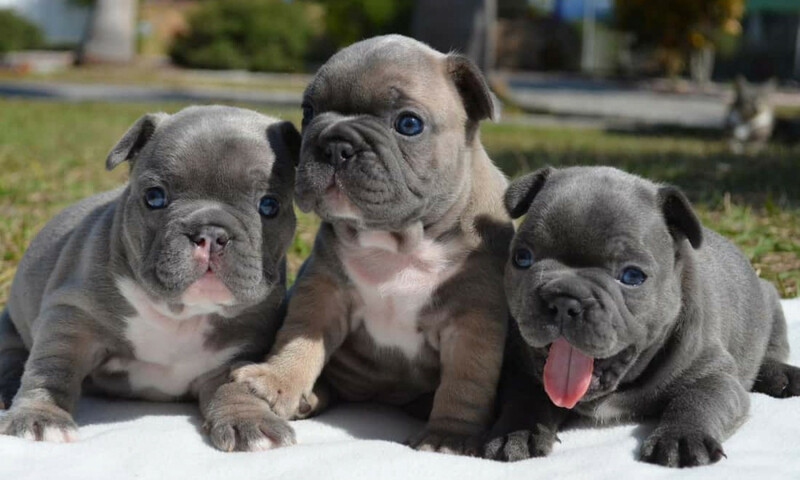 According to the French Bull Dog Club of America, there are no specific guidelines for feeding them. Options for feeding your French Bulldog are commercial dry food, canned food, raw food and homemade meals. 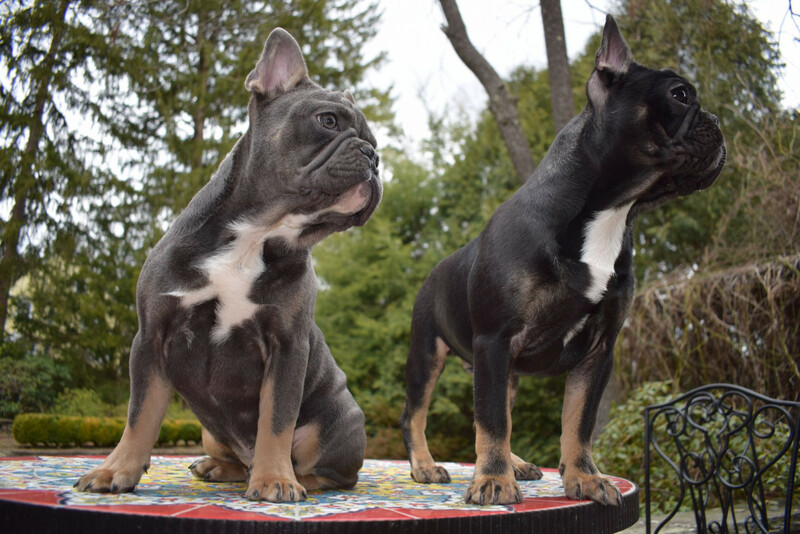 Calories required for frenchie varies depending on size, age, activity level and metabolism. Dry kibble is good for dog's teeth. Vaccinations should be made on right time. Choke collar must be used for walking and training. 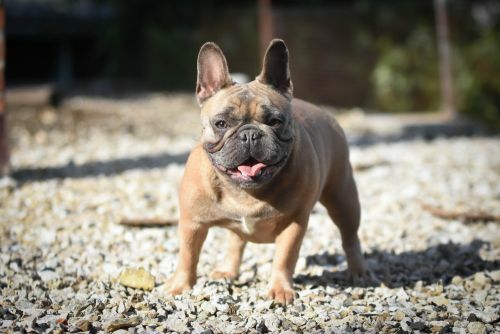 Frenchies can be made to walk or run for a particular distances. Heavy exercises should not be given as they face respiratory problems. Avoid exercising them in hot weather as they have chances of getting heatstroke. They are good children friendly dogs as they like to play with them. It will be good if they are supervised by an adult. They are polite with everyone including other pets. They love to play games and chase balls but don't need much exercise. Frenchies adapts well for apartment living but they don't like being alone for long time. They will not tolerate both hot and cold weather and so air conditioning will be better. They are easy to train and are very much interested in playing.